Everything flows, as Panta Rhei said, and no man ever steps in the same river twice, but on the other hand the history repeats itself, so the quotes have to be chosen according to the circumstances, as the point of view depends on the seat. I said what I knew. But it had a deep meaning, as you will find out later. 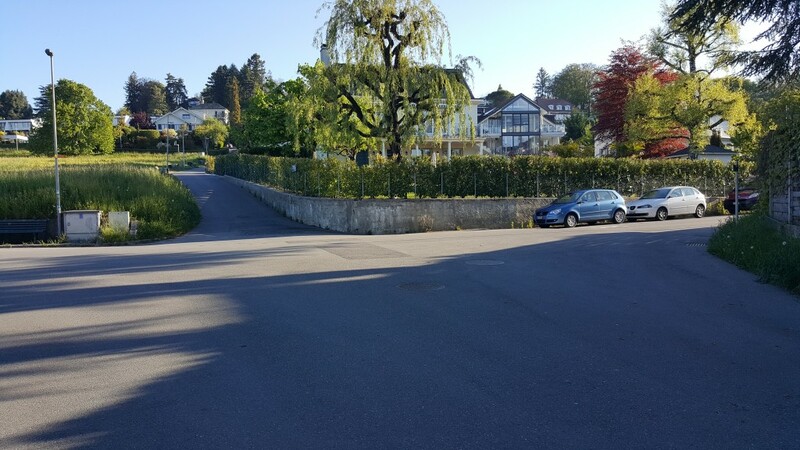 The route from Ouchy in Lausanne to Pully, which runs along the banks of the lake – Sentier des Rives du Lac – is simply beautiful. The views of the Alps, the lake and the vineyards sooth and calm in a therapeutic way. However, I warn you – sometimes it can be crowded, and then calming will not be fully calmed. 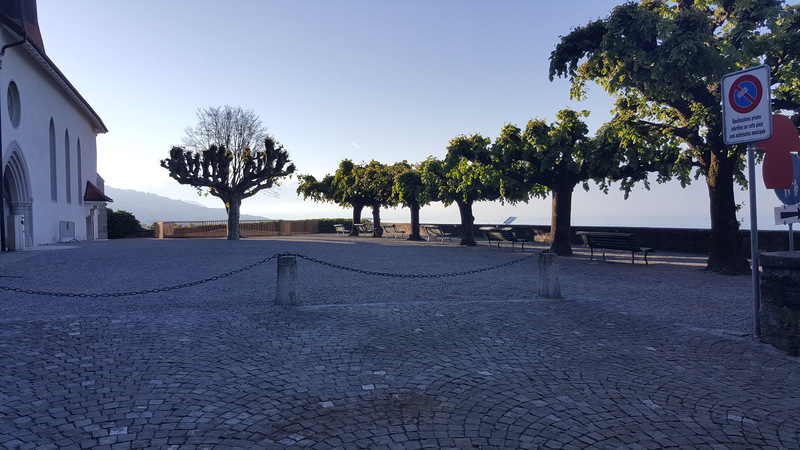 This time at the end of the port of Pully, where on the very edge of the lake there is a pool, I do not run further along the shore of the lake, but I turn left into Route du Port and reach the route cantonal (Route de Vevey). I go through the pedestrian crossing to the other side and along Chemin des Vignes I run up several meters. 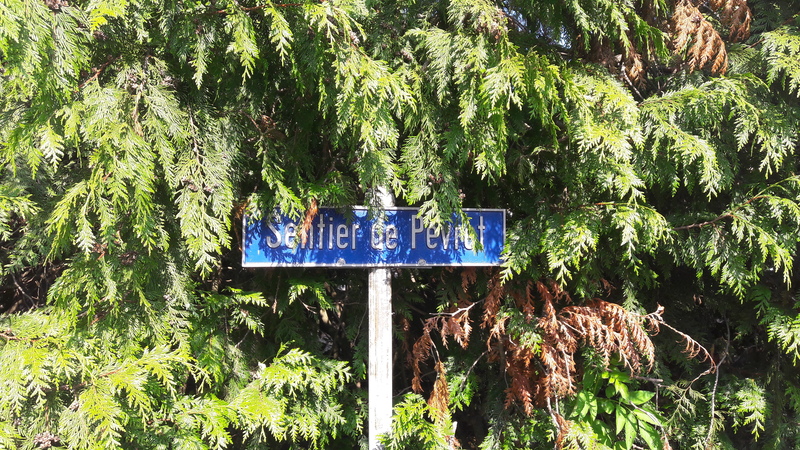 I turn left, towards a bizarre, red-and-steel sculpture and immediately to the right, to the hidden in the bushes Path of a Pervert (Sentier de Pervert). Behind the gate, I turn right and climb to the church. In the front of the temple there is a viewing terrace from which, as the name suggests, the view is visible. View to the lake, to the Alps and to the vineyards of Lavaux, inscribed on the UNESCO World Heritage List. From Ouchy to this place about 4 km. However, my route continues further, along the street at the western wall of the church and Restaurant du Prieuré, in which the Polish Carnival Ball was organized some time ago by the Polish Association in Lausanne. 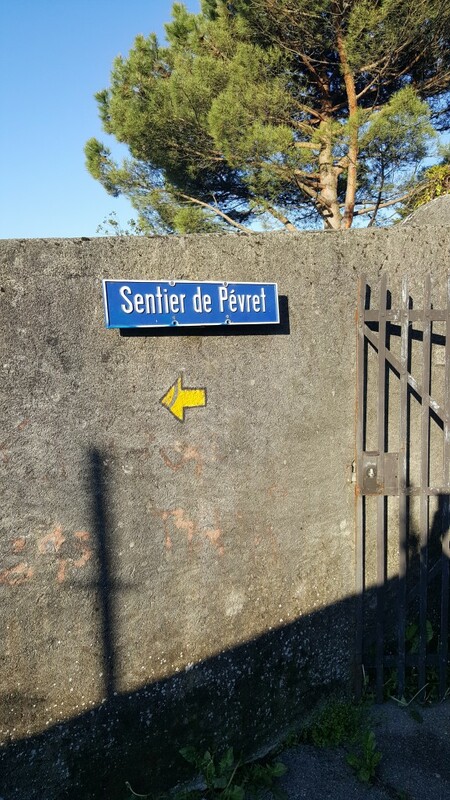 I run through the pedestrian crossing on the Rue de la Poste, then the bridge over the railway tracks, and finally through the tunnel under Avenue de Lavaux, I run into the steep street Chemin de la Clergère. After 270 meters, I turn right into Avenue de Rochettaz, and then after 230 meters, turn left into a one-way Chemin du Caudoz, where garbage containers are located. The street climbs steeply, until the next bridge over the railway tracks through which I pass and after a while I turn right into Chemin de Leisis following the indications of the yellow signpost “Tourisme pédestre“. 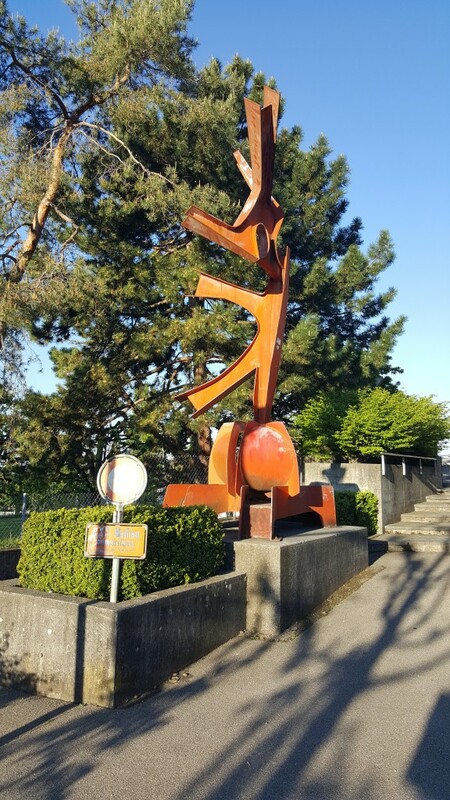 After 200 meters, the street changes it’s name to Chemin de Volson and climbs sharply. 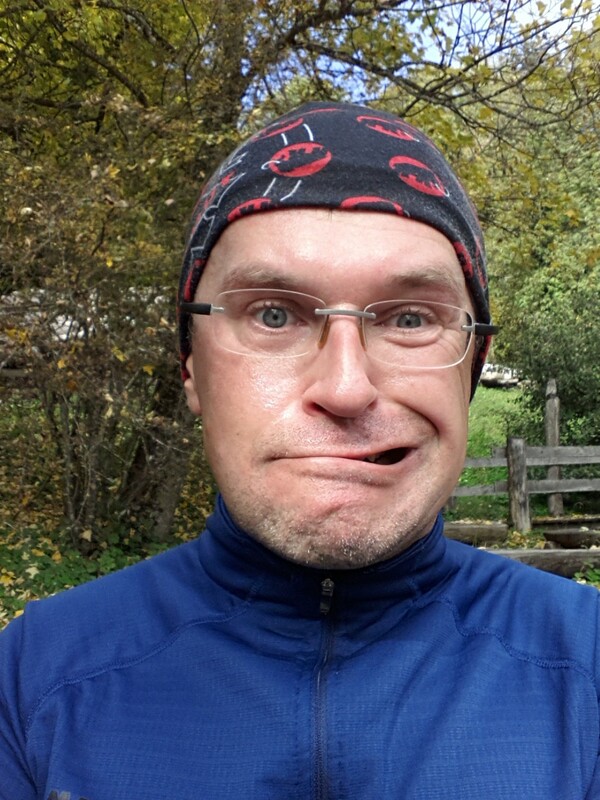 Just before Chemin des Sapins, I jump right into the forest’s narrow path*, which I discovered only after some time running in this area, which confirms my opinion that we should never stop exploring. 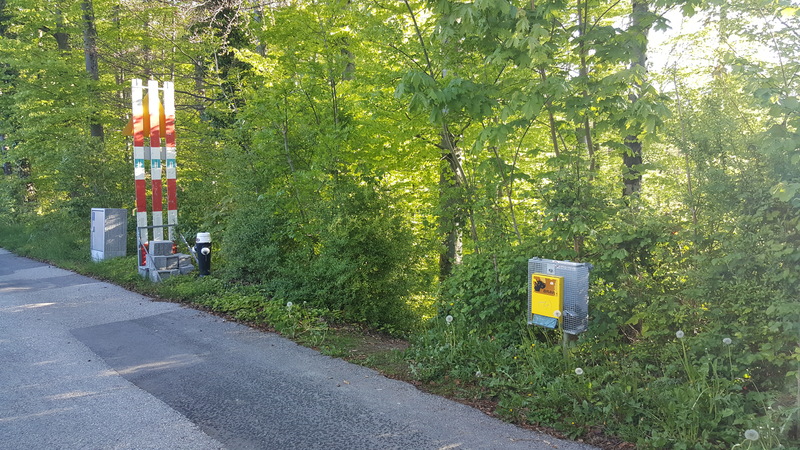 The path leads down towards La Paudèze stream (whose estuary to the lake is located between Pully and Paudex) and then slightly upwards, below the sawmill building. Here starts recently opened sawdust path, which falling and rising, brings me to Stand de Volson (526 m above sea level). 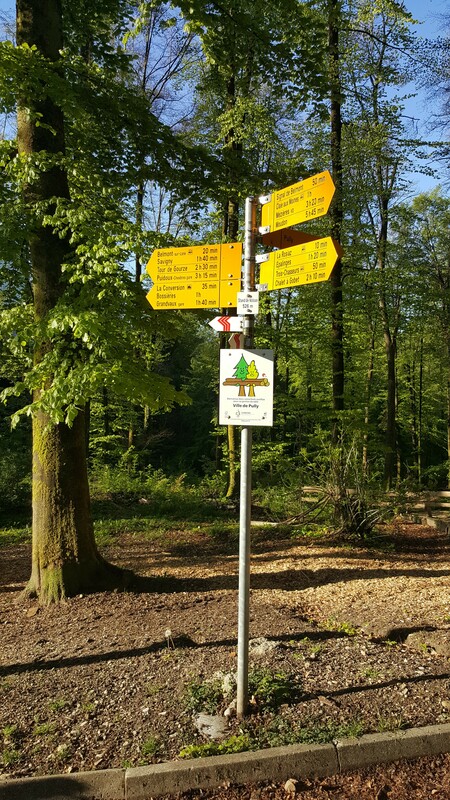 *Before finding the path through the forest, I was passing Chemin des Sapins and continuing straight on until Chemin du Stand. I was turning right and runing lightly down. I was passing the sawmill from the top and running on to the same place, which is Stand de Volson. From Ouchy about 6.4 km. There is a crossroads of tourist trails here and a lot of parking places. So, it was possible to get here by car! Why did I get so tired instead of traveling like a civilized tourist!? – What? Tytus is already here? – We have broken the record of the time to climb to the top and you were here before us. How did you do that? – …you pay and demand. With music, heating and a guide who speaks three languages. Bye, because the bus leaves. For beginners runners and walkers, arriving by car can be a good solution because the real adventure / nature begins only here. To the right, through a barrier blocking the passage of cars across the bridge, the road leads to Belmont-sur-Lausanne and then to Savigny and Tour de Gourze. To the left, sharply up the hill, by the wooden steps, there is a path to Epalinges and the distant Chalet-a-Gobet and straight ahead to Signal de Belmont.